The gospel should be offensive, not your church members or a lackadaisical hospitality ministry. 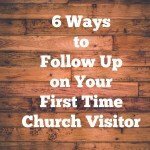 Your hospitality ministry in the church is one of the most important factors in the experience of first time visitors that will influence their personal decision to come back to your church. 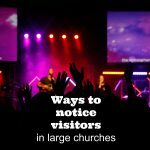 After all, your church won’t grow if your visitors don’t return and make friends. 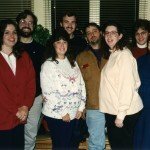 But you may have unintentional barriers that might hinder that person’s decision to return. 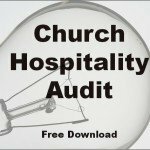 Church Hospitality Leaders find it helpful to have a questionnaire to help them spot and fix items that can quickly remove those unecessary rough edges. 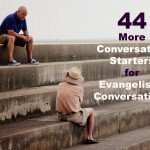 Tactful spiritual conversation starter questions can open the doors to significant life changing evangelistic conversations. that you sensitive to the timing, the prompting of the Holy Spirit, and the level of your friend’s spiritual thirst. paying attention to your own motives as you ask the questions: are you forcing a conversation or manipulating the situation? 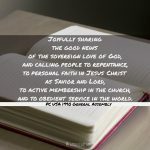 With these evangelistic questions, use them appropriately. It’ll take prayer and discernment to recognize those moments when these are great questions to use in personal evangelism.